After a successful 2014, San Leandro is on the cusp of more great things in the coming year. Here’s a preview of what to expect in 2015. Work continues on the Cornerstone Apartments. Phase 1 includes 115 affordable/workforce family housing units along with a childcare center and underground BART parking. Construction is scheduled to wrap up in May 2016. The San Leandro Tech Campus will be the first major office development under the Downtown Transit Oriented Development Strategy and the first technology oriented project in downtown. 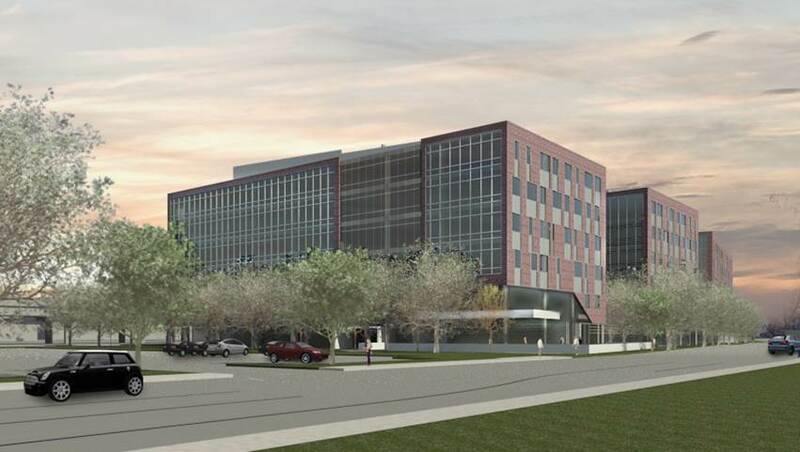 OSIsoft will be the primary tenant for Phase 1. 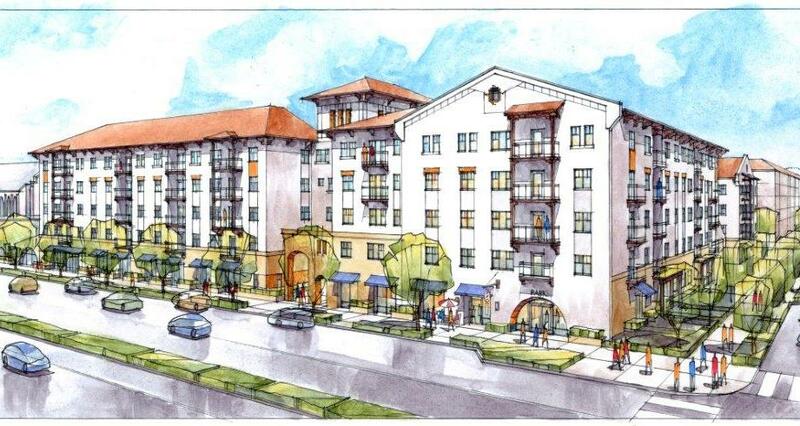 Groundbreaking is scheduled for January 2015. 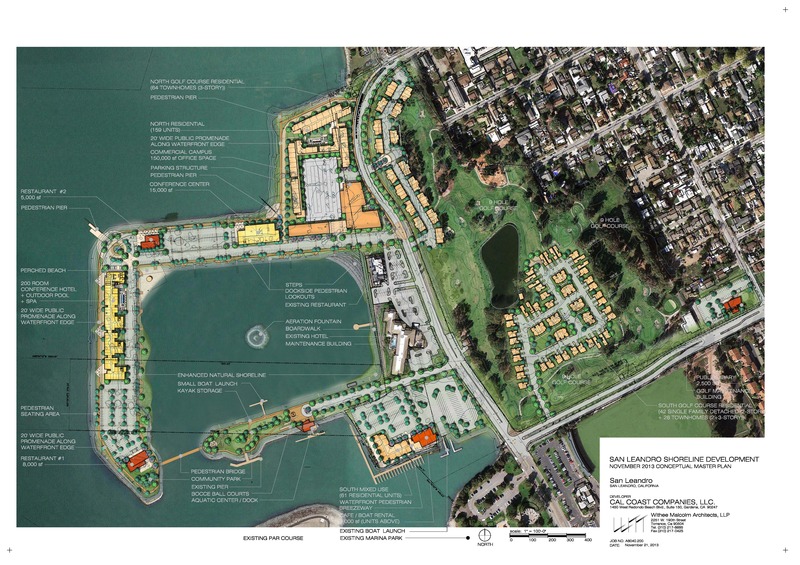 Work on the Shoreline Development project, which includes residential units, class A office buildings, a conference center, restaurants and enhanced recreational services, will accelerate this year as Cal-Coast and the City continue to work on design, entitlements and permitting for this world-class project. Groundbreaking is anticipated in 2017. The vacant site at Davis and Callan (formerly the CVS and adjacent parking lot) will be made available for purchase and development this spring. This development opportunity is 1.2 acres and zoned for mixed use in the heart of Downtown San Leandro. This project hold tremendous potential as a catalyst for further growth downtown. There is significant interest in residential development these days, offering an opportunity to add density and vibrancy to our downtown. Be on the lookout for new projects in the coming months. The City is also moving forward this year with efforts to resolve a legal dispute with the State regarding the dissolution redevelopment agencies throughout California. Once that is resolved, the City will be able to sell several sites that were formerly owned by the Redevelopment Agency, opening up a number of additional development opportunities. DSW and Ulta Beauty will both open at Bayfair Center in 2015. For several years, Chipotle has been high on the list of businesses that community members wanted to see open in San Leandro. With much excitement, Chipotle will open at 1505 East 14th Street in mid-February. Similar to Chipotle in customer loyalty, Peet’s Coffee & Tea will be joining AT&T, Habit Burger, Great Clips, and CVS as tenants at The Village. Mark your calendars for a January 24th celebration. Recognizing that it is an area of need in San Leandro, the City is also developing an incentive program to help bring new restaurants to the City. The program will be activated early in 2015. 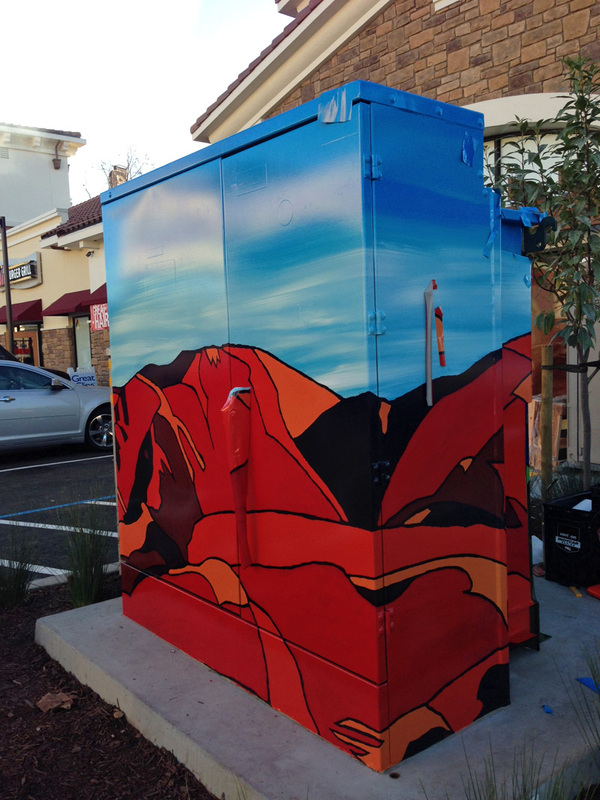 Within the next two months, several utility boxes throughout the city will be wrapped with art work. San Leandro is looking to expand this pilot project and partner with local businesses to decorate additional boxes in 2015. Please call (510) 577-3327 to ask about sponsoring an art box in your area. Building on a collaboration work with UC Berkeley grad students, look for expansion of the December light/sensor experiments in a more permanent format. Art will be a major component of the San Leandro Tech Campus. An exciting announcement about an art installation will occur in 2015. 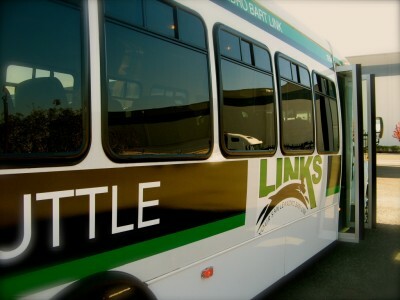 Major improvements will be coming to the San Leandro LINKS service, beginning on February 2, 2015. This free shuttle connection to BART is a big factor in attracting and retaining companies in our industrial areas. The new LINKS routes will shorten the travel time and add stops on Marina Boulevard, including Marina Square. Work will continue on the Founders Circle, a public/private partnership launched in 2014 to develop career pathways for students from our high schools (San Leandro and San Lorenzo Districts) and Bay Area colleges directly into internships and jobs with San Leandro advanced manufacturing companies. These companies include established manufacturing businesses like Scandic Springs, Coca Cola, Ghirardelli, Kraft, Koffler Electric, Applied Fusion, Copper Harbor and others. The City, in partnership with local industrial businesses and the San Leandro Chamber of Commerce, is planning an expanded involvement in National Manufacturing Day on October 2, 2015. Building on past initiatives such as the Careers in Industrial Technology program and the work of the Founders Circle, this program is designed to give students exposure to career opportunities in manufacturing. The City is working with a diverse group of stakeholders to develop a pop-up plaza with restaurants and retailers using shipping containers to provide needed amenities and a gathering place in San Leandro’s industrial area. On February 19th, the winner of the Information Technology award at the 2015 East Bay Economic Development Alliance Innovation Awards will be announced. Either way, a San Leandro company will win, as OSIsoft or PhaseSpace were announced as the finalists in this category. Co-working spaces like Port Space, NextSpace, Impact Hub and many others around the East Bay have changed the way that entrepreneurs work. Our goal is to locate a co-working space in our Downtown in 2015. Prototyping the Future, a one day conference focused on experimentation and near future scenarios based on ultra high speed broadband will return to San Leandro in October. 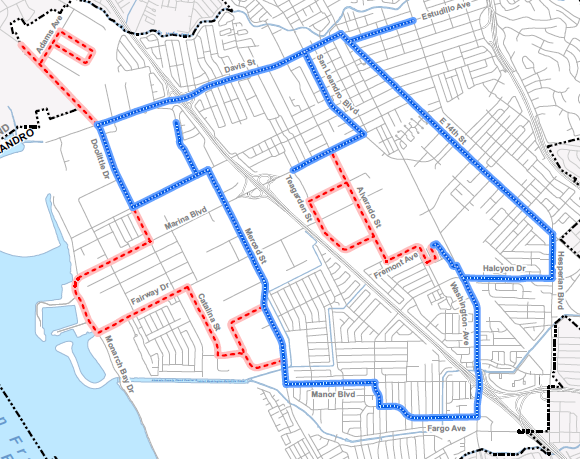 Approximately 7.5 miles of City-owned conduit, funded through a $2 million federal Economic Development Administration grant, will be activated in 2015 with the installation of fiber optics as part of the Lit San Leandro network expansion. Expect many new businesses to be connected to the fast internet speeds 2015. San Leandro Unified School District school sites will connect to the internet at 10 gigabits per second through City fiber strands acquired through its partnership with San Leandro Dark Fiber, LLC, owned by Dr. Patrick Kennedy, CEO and Founder of OSIsoft. The City will launch the first phase of its free wi-fi in the Downtown, covering The Village, Pelton Plaza, and Parrott Center in 2015. A successful launch is expected to lead to expansion of the City’s wi-fi throughout San Leandro in future years. San Leandro breweries Drake’s and 21st Amendment will serve as official sponsors at the 2015 San Francisco Beer Week and Cleophus Quealy plans to host multiple Beer Week events in San Leandro. This is the largest, most anticipated gathering of the Northern California craft beer community. The City is also actively marketing an incentive program for new craft breweries in the City…and due to multiple inquiries, we are also happy to expand that program to include wineries, distilleries, and cideries. San Leandro has always been an ideal location for specialty food and beverage production and we expect more growth in these booming industries. 2015 will continue to build on the momentum of past work. Stay tuned for updates throughout the year through our posts on this blog and on Facebook and Twitter. thank you community and business leaders who are bringing these exciting initiatives to fruition. So….more housing for families, and still only one high school. Yeah, brilliant. I would love to see the old CVS become a Trader Joes or a Sprouts. And what is being done for public schools??? ?